Veteran Omar Bencomo (6-4) had a no-hitter going until the fifth inning Thursday. This one started with a Zander Wiel double followed by Brent Rooker’s 16th home run. 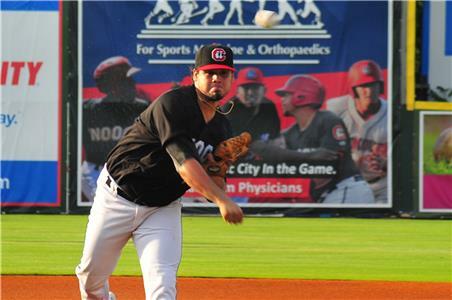 The Lookouts built a 4-0 lead thanks to RBI singles from Mitchell Kranson and Rooker, but the BayBears battled back to pull within a run of Chattanooga. Brian Navarretto plated an insurance run in the top of the ninth on a sac fly and the bullpen locked it down. Omar Bencomo would be touched for the BayBears first hit in the fifth inning and then a two run home run in the sixth before stepping aside.gave up two runs and struck out seven batters over 5 1/3 innings. The Lookouts bullpen grabbed the reigns working the last three plus innings allowing one run while posting four strike outs when needed. Mobile left runners in scoring position in three of the last five frames but could not get any closer. The Lookouts tacked on an insurance run with a sacrifice fly in the ninth. Williams Ramirez gave up a run in his inning of work before Sam Clay 1 1/3 innings of scoreless work. Tyler Jay earned his second save by recording the final four outs. He gave up one hit and had three strikeouts. The Lookouts will use the bullpen and then Sean Poppen to face Jeremy Beasley in game three. Hear the game at MiLB.co and 96.1 FM beginning at 7:50 EDT.